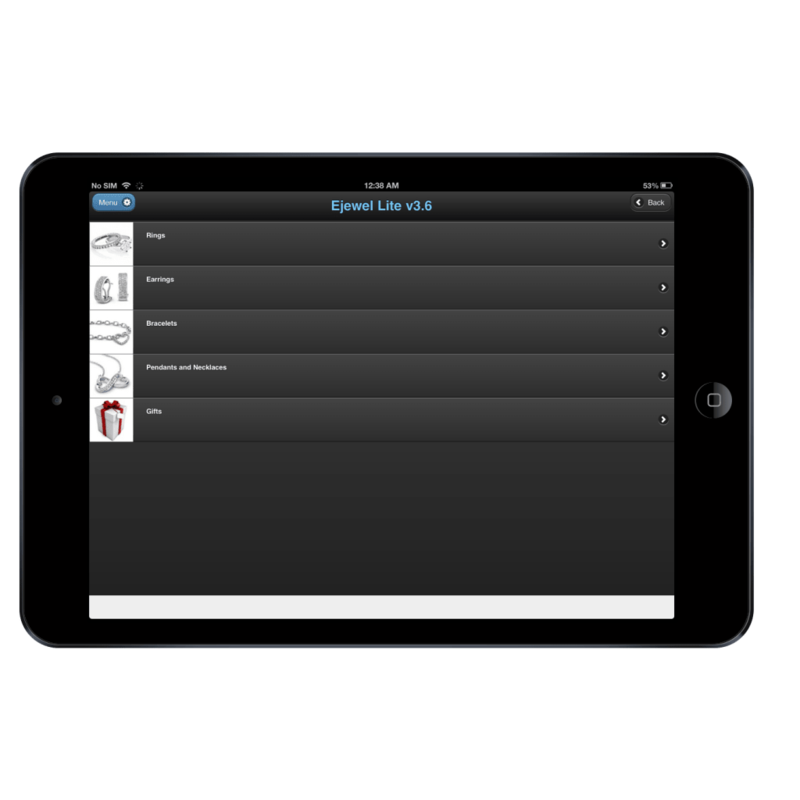 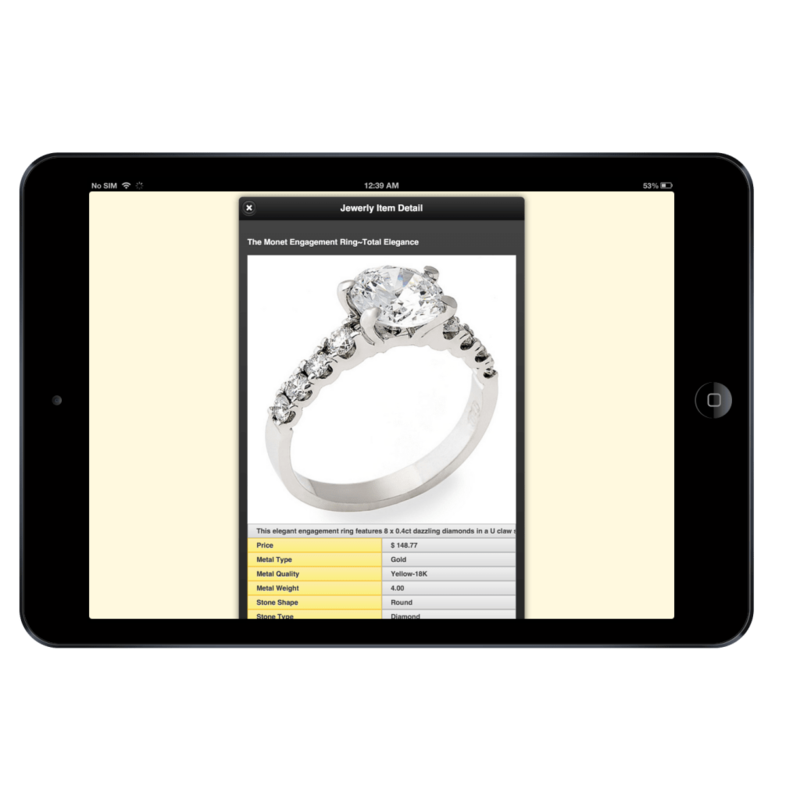 Our Tablet apps provide you with touch-based catalog that can be used by your sales staff in-store or on-the-road to display products that you may or may not currently have in your inventory. 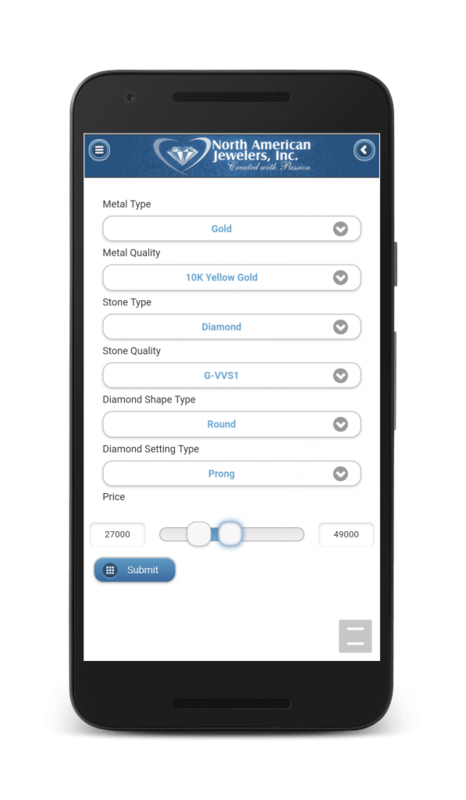 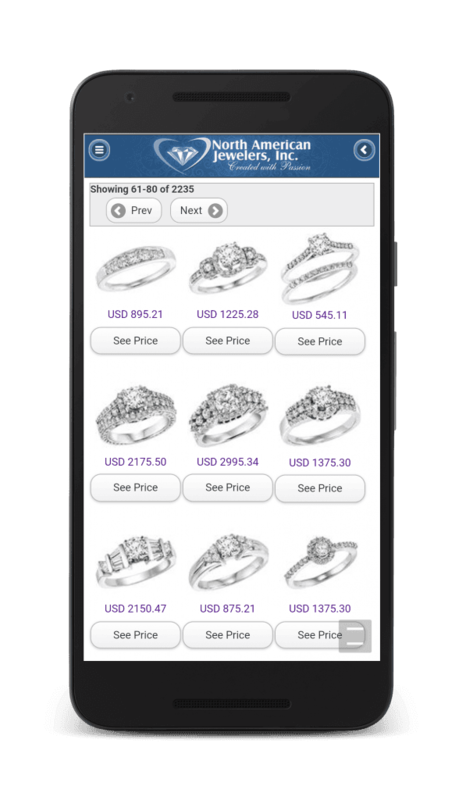 It will allow browsing and filtering through your catalog, while also allowing you to display different pricing options available on each jewelry item. 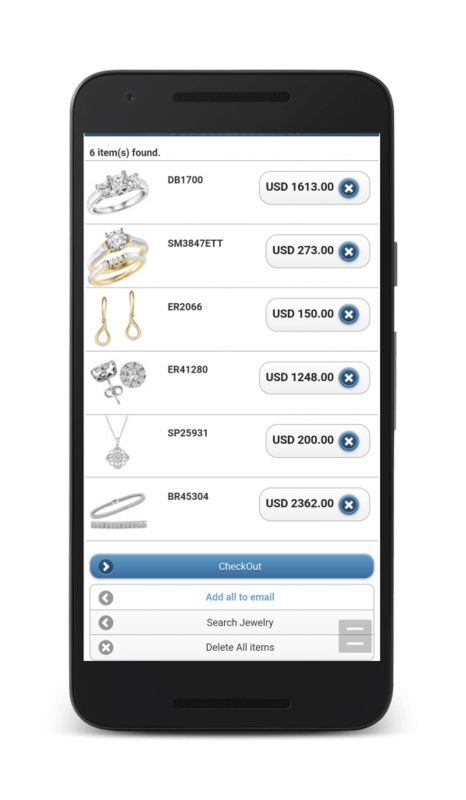 Tablet Jewelry Catalog and the Tablet POS can integrate well together to give you a system where you can not only show your products to the customers, but also take and process orders, and manage various functions required from a retail POS. 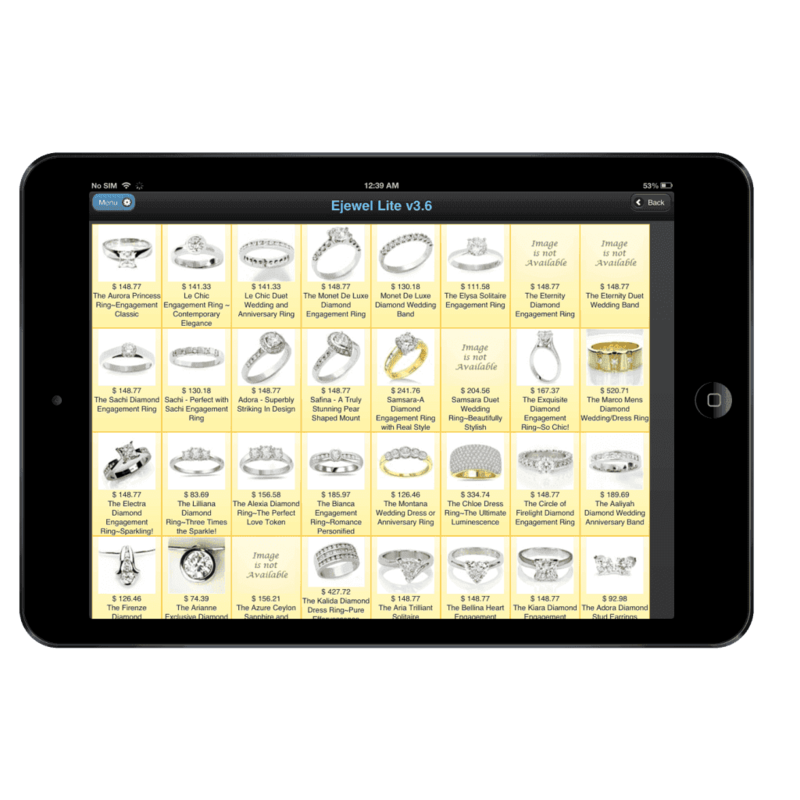 Why use the E-Jewel Jewelry Tablet Catalog? 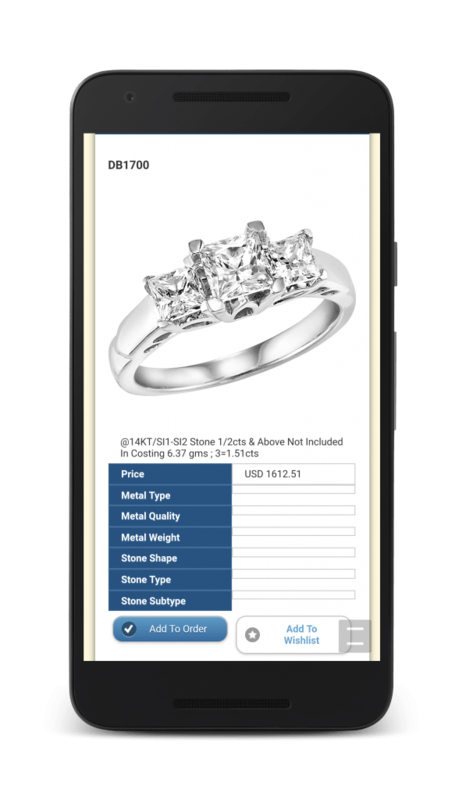 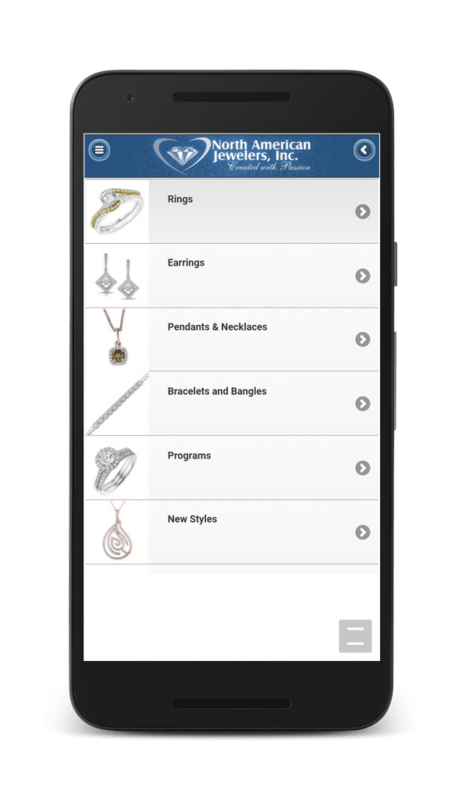 Why use the E-Jewel Mobile Jewelry Catalog? 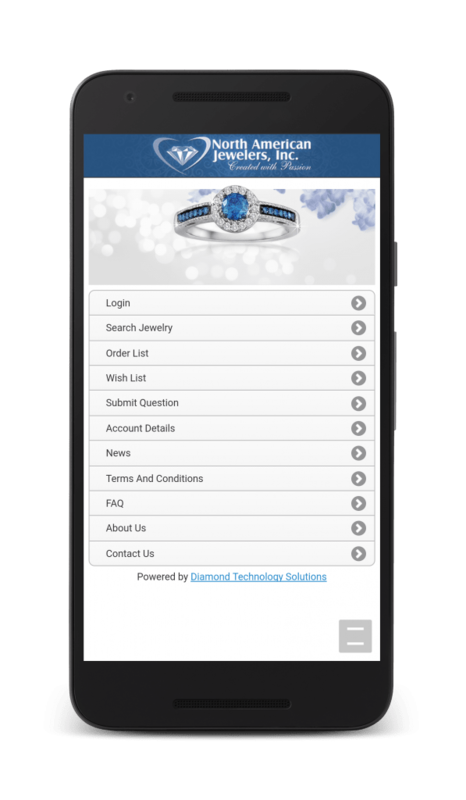 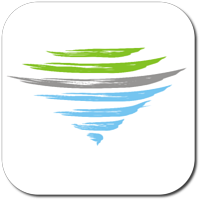 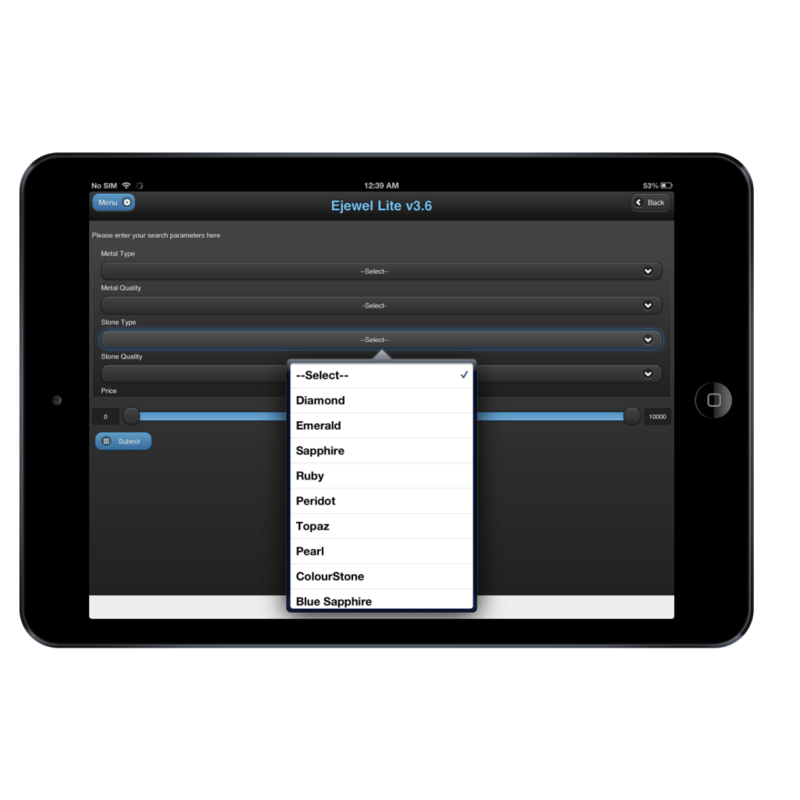 Note: Current version of our Apps are web-based and database-driven catalog with dynamic pricing capabilities.